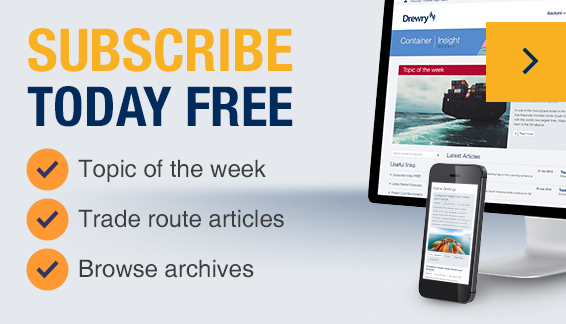 Subscribe to our weekly container shipping e-newsletter and browse articles. Drewry Financial Research Services Ltd is authorised by the UK Financial Conduct Authority (FCA). Read the latest thoughts and opinions of our sector experts and lead analysts on key industry events and developments. London, UK, 10 April 2019 – Key US ports, leading global container lines and specialist car carriers will all be adversely impacted should the proposed US auto tariffs be implemented in the second quarter of 2019, according to an impact analysis published by global shipping consultancy Drewry. The study explored the impact of three different tariff scenarios; a low-intensity scenario with 5% tariffs imposed on all US imports of finished vehicles and auto parts, a medium-intensity scenario at 15% and a high-intensity scenario with 25% tariffs imposed. Car carrier sector: With it already suffering from overcapacity, the finished vehicle shipping sector is particularly vulnerable and will naturally be negatively affected. The auto industry is a globalised and heavily interlinked industry with a complex supply chain. Any level of artificial cost imposition is likely to have a myriad of consequences, both intended and unintended, for stakeholders operating in the key East-West trade routes. Further, there is understandable concern any tariff imposition by the US will trigger retaliatory action by the EU, further exacerbating the situation. Alongside our extensive market research catalogue, we also offer a bespoke, high-impact research service focusing on the topical issues of particular, commercial interest to your business.